A truly glamorous invitation suite full of unique details and modern lines. A sleek, modern sleeve with a monogram design slides over a frosted acrylic invitation, perfectly packaging the entire suite together. 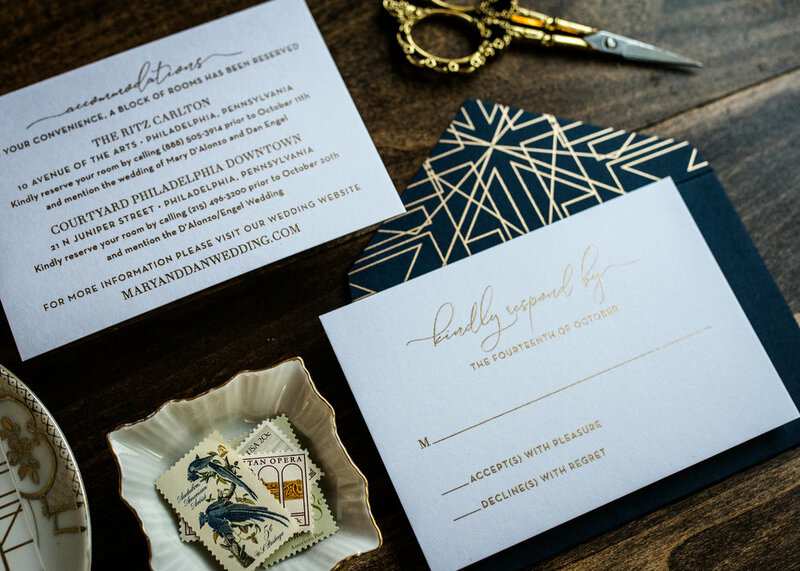 The same art deco pattern is carried throughout the design - printed in a striking metallic gold - on the sleeve, the acrylic invitation, inside of the mailer envelope, and on the RSVP envelope.